Each destination will feature a travel guide with the best information about the area from a person (me!) who has personally traveled there, dined in the restaurants, walked the trails and done the research to make sure you will have the best information on the internet! The guides are MORE than a guide book, they are a personalized recommendation on places to stay, things to see and do, where to eat and how to save money along the way. 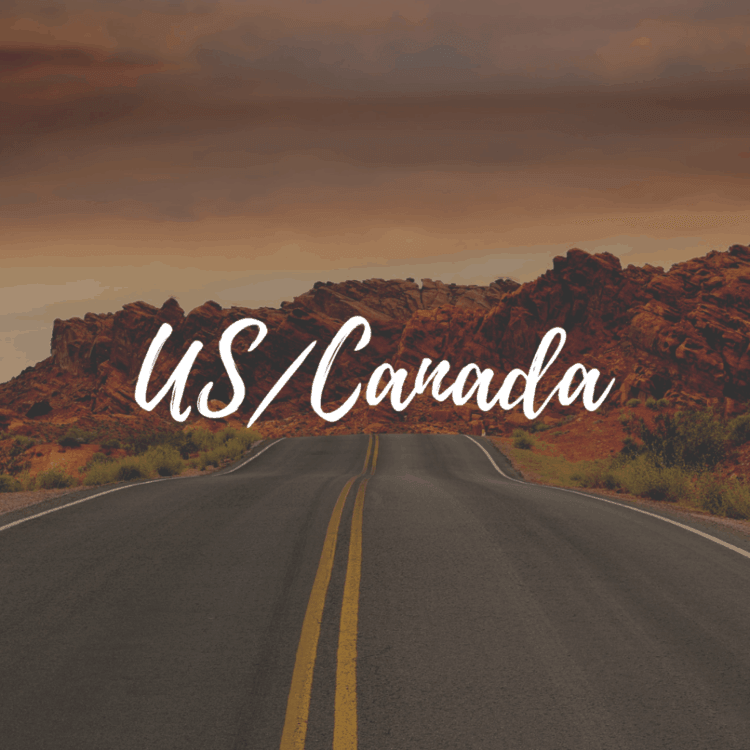 We are all about experiences when we travel, so there will plenty of tours and specialized experiences to learn about the culture, eat your way through a town and get early access to some of the top sights in the world. Whether you are traveling to small towns, large cities, on a weekend holiday or an entire month in Europe, I’ve got you covered. 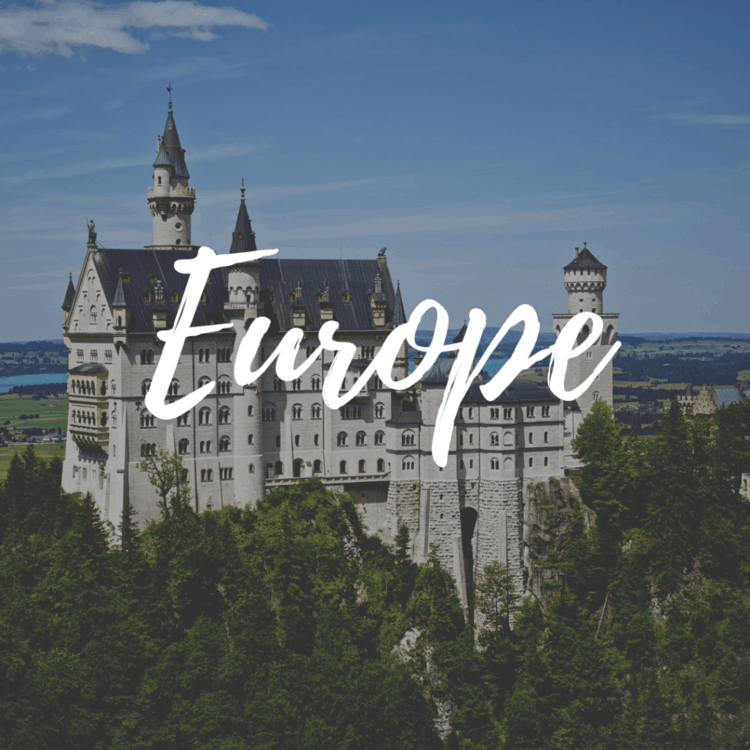 After traveling to over 30 countries, living in Europe 3 times (over the course of 11 years), and spending countless hours researching every place we’ve visited, I can assure you that you’ve come to the right place. Click on a country on the map or explore the regional guides below! Travel isn’t only about the destinations, it is about knowing what to pack, how to navigate new cities you’ve never set foot in and making sure you have the right travel gear to make that trips as successful and smooth as possible. Below you’ll find a treasure trove of packing lists, travel gear for families and how to plan a trip. I’m always adding more content in these areas, so be sure to check back often for articles that are relevant to any trip! Book your next Family Vacation Now! Below are some of my favorite companies to work with. By traveling frequently, you quickly learn which companies have your best interest in mind and which ones do not. These are all companies and brands that we highly recommend (and no, they didn’t pay me to say that). Booking is a one stop shop for all your travel needs. From hotels, to train tickets and dinner reservations, booking.com has it all. We like how easy it is to navigate their website and you can often find hotel rooms with “free cancellation”. There are no hidden fees like some other similar sights and you can earn rewards for using booking.com like discounts, freebies and perks. As always, be sure to check the reviews for any place that you are considering staying and on any activities that might catch your eye. Better yet, read my recommendations. We are frequent travelers to Europe, we’ve also lived in Europe on a few occasions. Auto Europe is our “go to” company for renting cars. Why? Auto Europe searches multiple car rental companies like Hertz, Thrifty, Dollar, Avis, National, Budget, and Alamo to name a few. Most of these companies will allow you to pick up from one location and return to another for a small fee (but worth it if you plan on traveling one-way). Anytime I plan a trip, I comb through all the TripAdvisor reviews for the particular hotel, activity, destination or restaurant. There is always great advice and little tidbits of knowledge that isn’t anywhere else on the internet or in the guide books.